Careem, a taxi riding app, has started its test operations in 3 more cities inside Pakistan. The new cities include Peshawar, Hyderabad, and Faisalabad. Careem has already been operating successfully in Karachi, Lahore, and Islamabad. Despite facing sexual harassment allegations and offices being closed in Islamabad, the company is becoming popular among people looking for easy and hassle free rides within the city. Careem came to Pakistan just a few years back extending its operations from the Middle East. Although Careem is headquartered in Dubai, it has offices in cities where it is operating. Careem’s office was shut down by the government along with 3 other cab companies after Taxi Driver Welfare Association (TDWA) lodged a complaint. According to the complaint, the companies were operating illegally without any approval from authorities. Careem follows pretty much the same basic idea that Uber is built on. A mobile app is available on Android, iOs and Windows platforms that locates your address and shows the nearest captain – the driver. Once a ride is confirmed, a map shows the movements of the captain. Basic details like name, license plate and cell number are made available for easily locating the ride. Although there is no pre-requisite to become a captain but the process is quite rigorous. The captains have to go through initial screening, training, verification, background check and even a written letter from the police. 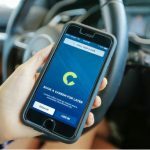 Once inducted successfully, an app is provided to the captain that controls most of the communication with Careem’s system and the passenger.